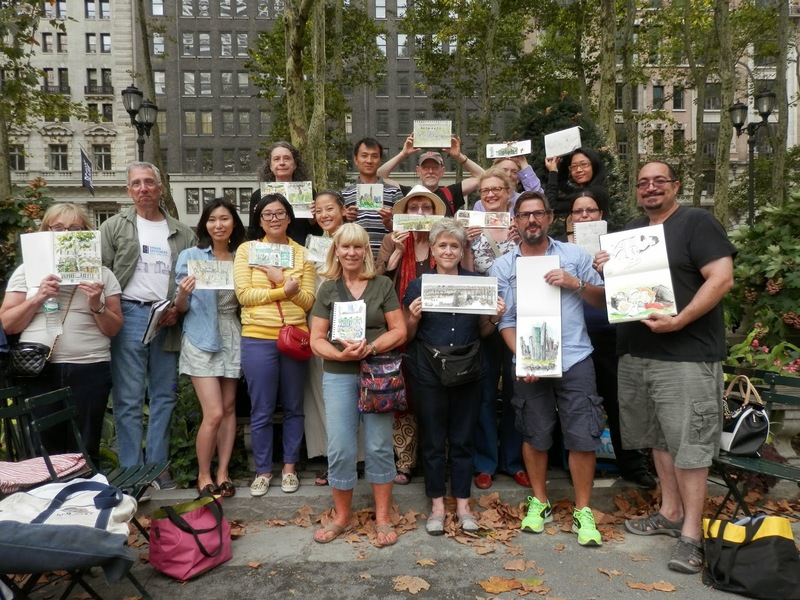 We had a wonderful day in Bryant Park today! The weather was perfect and we had a great turnout. There were a lot of new faces and visitors from out of the country...giving us about 24 sketchers working around the park. Yay!!! 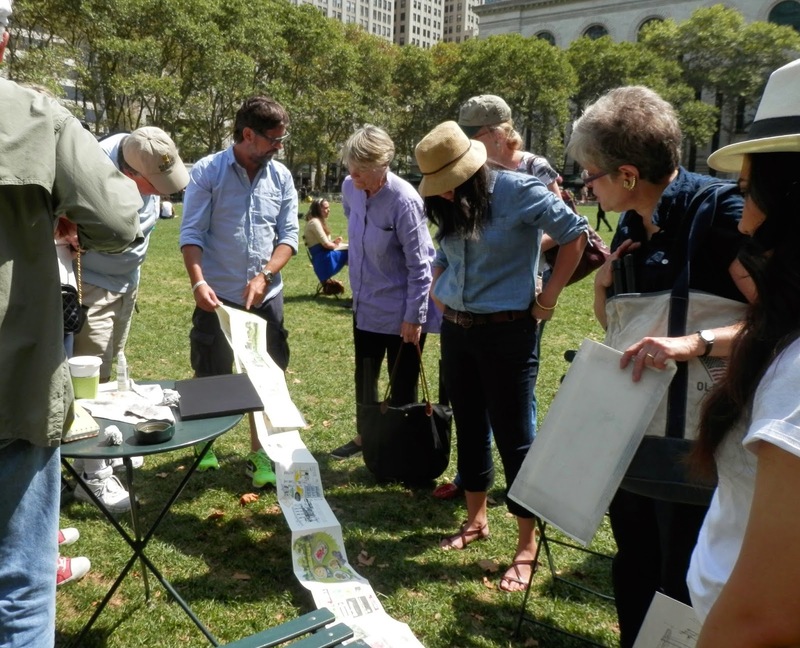 We welcomed Lucy's dad from France and Santi, an Urban Sketcher who was visiting from Barcelona. The plan was to find a place to do a sketch and when you were finished to pivot and do another sketch from that spot. I did that for a few of my sketches, but then just moved myself to a different spot in the park. 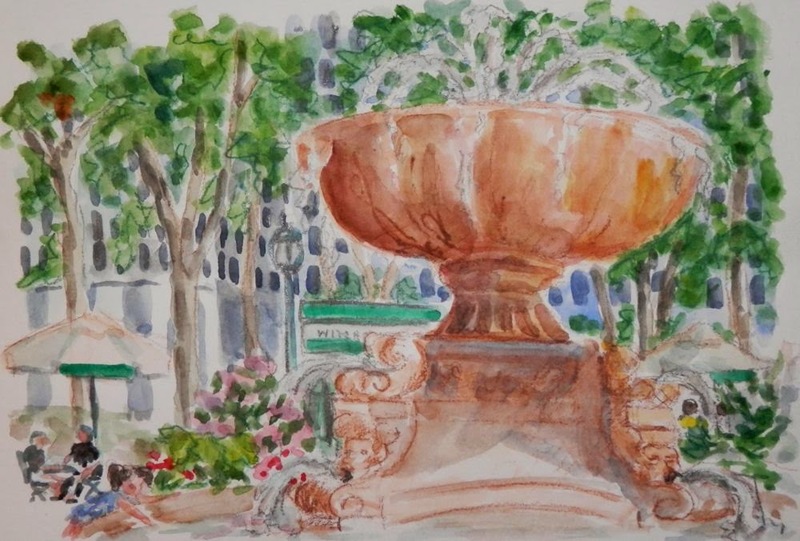 I started with a sketch of the Bryant Park fountain. Someone sitting in the sun. There were wonderful colored umbrellas. A carousel and people, people, people. 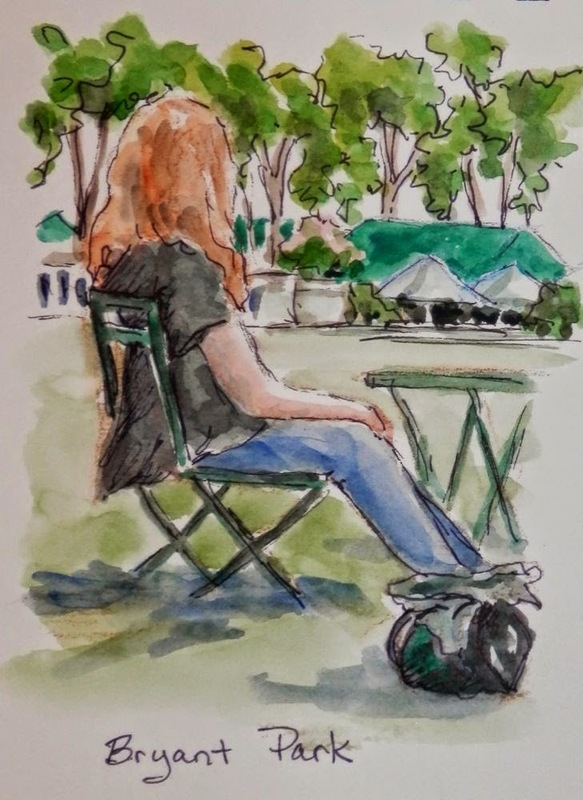 And finally a sketch looking across the lawn of the park with just a part of the cast of characters that were in the park today. 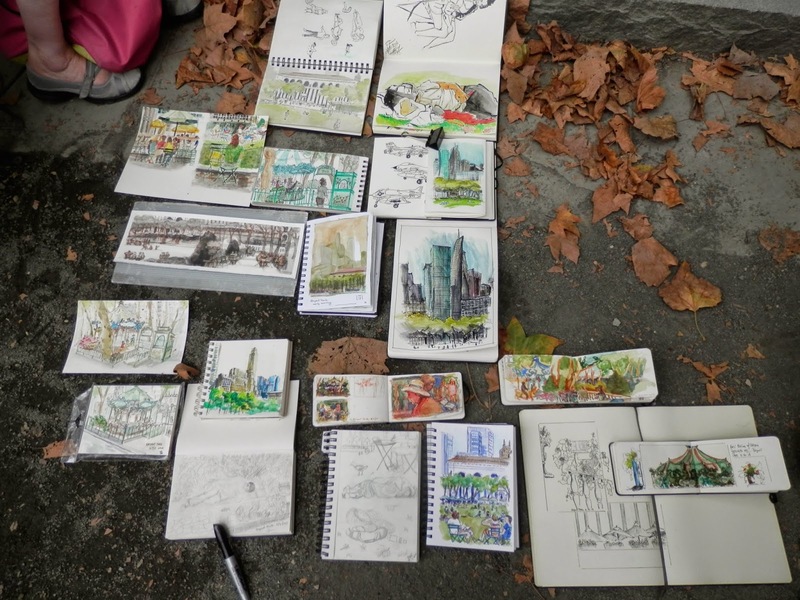 We did a throwdown of our sketchbooks...great work from everyone! Santi shared his wonderful accordion sketchbook that he is doing of his visit. And finally a group photo. Look at all those happy sketchers!!! Some of the group ended our day with drinks down the street and then a bit of shopping at Kinokuniya which had some great art supplies and books. A great write up, and some wonderful sketches Joan. 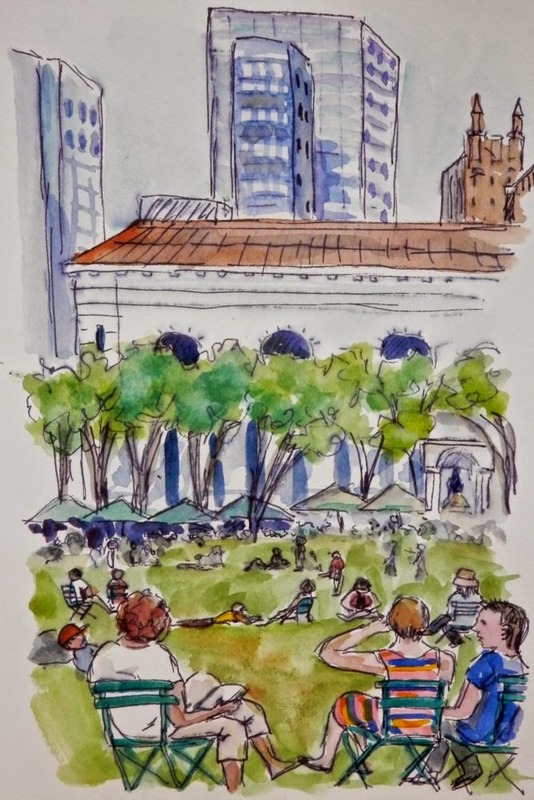 Your last one, showing the great lawn, really captures the feel of Bryant Park, the activity, the size and all the people. Thanks, Mark! 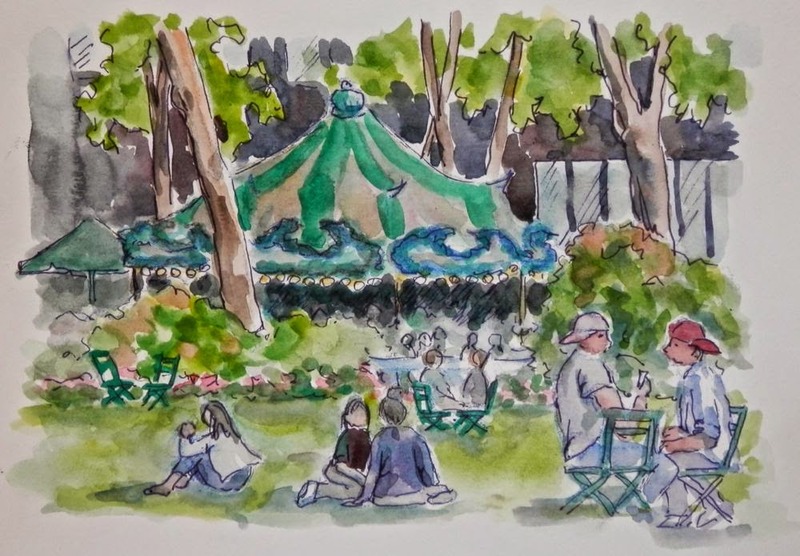 Bryant Park was a great place to sketch. I liked staying in one location and being able to do so many views. Thanks again for letting me know about my missing art materials. You had another productive day and captured the spirit of the park. 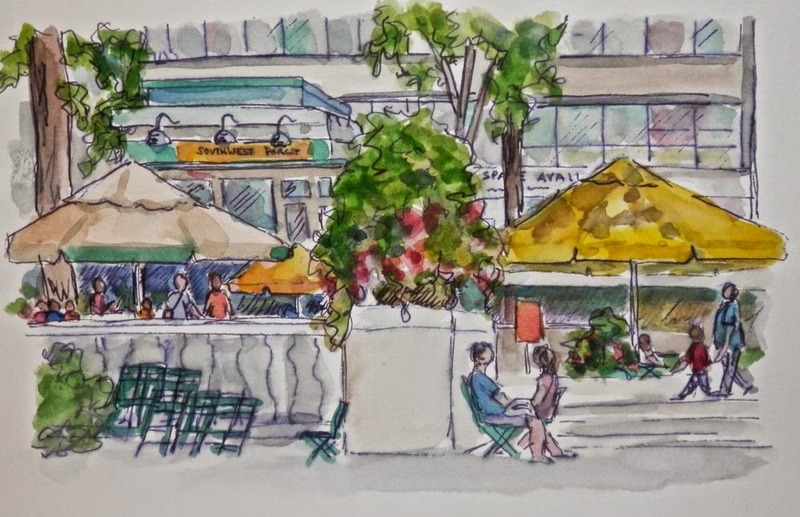 It is a good thing you practice sketching people as it came in handy in this location.